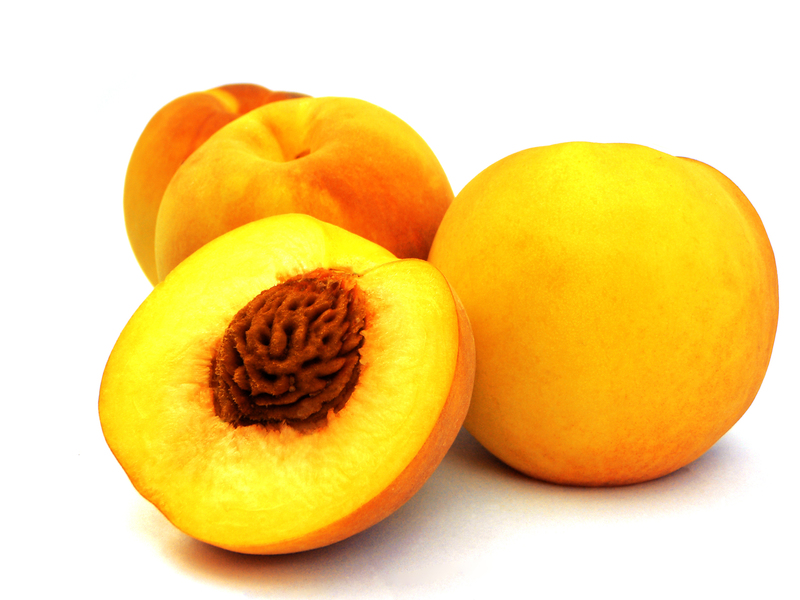 In a study published online on September 5, 2014 in the open-access journal PLOS ONE, Dr. Gary Crawford, a University of Toronto-Mississauga anthropology professor, and two Chinese colleagues propose that the domestic peaches enjoyed worldwide today can trace their ancestry back at least 7,500 years to the lower Yangtze River Valley in Southern China, not far from Shanghai. The study, headed by Dr. Yunfei Zheng from the Zhejiang Institute of Archeology in China’s Zhejiang Province, was done in collaboration with Dr. Crawford and Dr. Xugao Chen, another researcher at the Zhejang Institute. “Previously, no one knew where peaches were domesticated,” said Dr. Crawford. “None of the botanical literature suggested the Yangtze Valley, although many people thought that it happened somewhere in China.” Radiocarbon dating of ancient peach stones (pits) discovered in the Lower Yangtze River Valley indicates that the peach seems to have diverged from its wild ancestors as early as 7,500 years ago. Archeologists have a good understanding of domestication – conscious breeding for traits preferred by people– of annual plants such as grains (rice, wheat, etc. ), but the role of trees in early farming and how trees were domesticated is not well documented. Unlike most trees, the peach tree matures very quickly, producing fruit within two to three years, so selection for desirable traits could become apparent relatively quickly. The problem that Dr. Crawford and his colleagues faced was how to recognize the selection process in the archeological record. Peach stones are well represented at archeological sites in the Yangtze valley, so the researchers compared the size and structure of the stones from six sites that spanned a period of roughly 5,000 years. Researchers at the University of Texas (UT) Southwestern Medical Center (image) and the Gill Center for Cancer and Blood Disorders at Children’s Medical Center, Dallas, have made significant progress in defining new genetic causes of Wilms tumor, a type of kidney cancer found only in children. Wilms tumor is the most common childhood genitourinary tract cancer and the third most common solid tumor of childhood. “While most children with Wilms tumor are thankfully cured, those with more aggressive tumors do poorly, and we are increasingly concerned about the long-term adverse side effects of chemotherapy in Wilms tumor patients. We wanted to know – what are the genetic causes of Wilms tumor in children and what are the opportunities for targeted therapies? To answer these questions, you have to identify genes that are mutated in the cancer,” said Dr. James Amatruda, Associate Professor of Pediatrics, Molecular Biology, and Internal Medicine at UT Southwestern and senior author for the study. The new findings were published online on September 5, 2014 in Nature Communications. Collaborating with Dr. Amatruda on the study were UT Southwestern faculty members Dr. Dinesh Rakheja, Associate Professor of Pathology and Pediatrics; Dr. Kenneth S. Chen, Assistant Instructor in Pediatrics; and Dr. Joshua T. Mendell, Professor of Molecular Biology. Dr. Jonathan Wickiser, Associate Professor in Pediatrics, and Dr. James Malter, Chair of Pathology, are also co-authors. Previous research has identified one or two mutant genes in Wilms tumors, but only about one-third of Wilms tumors had these mutations. “We wanted to know what genes were mutated in the other two-thirds. To accomplish this goal, we sequenced the DNA of 44 tumors and identified several new mutated genes,” said Dr. Creating induced pluripotent stem cells or iPS cells allows researchers to establish "disease-in-a-dish" models of conditions ranging from Alzheimer’s disease to diabetes. Scientists at Yerkes National Primate Research Center, Emory University, have now applied the technology to a model of Huntington’s disease (HD) in transgenic nonhuman primates, allowing the researchers to conveniently assess the efficacy of potential therapies on neuronal cells in the laboratory. The results were published online on September 4, 2014 in Stem Cell Reports. "A highlight of our model is that our progenitor cells and neurons developed cellular features of HD such as intranuclear inclusions of mutant Huntingtin protein, which most of the currently available cell models do not present," says senior author Anthony Chan, Ph.D., D.V.M., associate professor of human genetics at Emory University School of Medicine and Yerkes National Primate Research Center. "We could use these features as a read-out for therapy using drugs or a genetic manipulation." Dr. Chan and his colleagues were the first in the world to establish a transgenic nonhuman primate model of HD. HD is an inherited neurodegenerative disorder that leads to the appearance of uncontrolled movements and cognitive impairments, usually in adulthood. It is caused by a mutation that introduces an expanded region where one amino acid (glutamine) is repeated dozens of times in the huntingtin protein. The non-human primate model has extra copies of the huntingtin gene that contains the expanded glutamine repeats. In the non-human primate model, motor and cognitive deficits appear more quickly than in most cases of Huntington’s disease in humans, becoming noticeable within the first two years of the monkeys’ development. Over the years researchers have made tremendous strides in the understanding and treatment of cancer by searching genomes for links between genetic alterations and disease. Most of these studies have focused on the portion of the human genome that encodes protein – a fraction that accounts for just 2 percent of human DNA overall. Yet the vast majority of genomic alterations associated with cancer lie outside protein-coding genes, in what traditionally has been derided as "junk DNA." Researchers today know that "junk DNA" is anything but – much of it is transcribed into RNA, for instance -- but finding meaning in those sequences remains a challenge. Now a team led by Lin Zhang, Ph.D., research associate professor in the Department of Obstetrics and Gynecology at the Perelman School of Medicine at the University of Pennsylvania (Penn), has mined those sequences to identify a non-protein-coding RNA whose expression is linked to ovarian cancer. The study is published online in Cancer Cell. Supported by the Basser Research Center for BRCA in Penn's Abramson Cancer Center, Dr. Zhang and his team built a DNA copy number profile for nearly 14,000 long non-coding RNAs (lncRNAs) (image), across 12 cancer types, including ovarian and breast cancers -- the two major BRCA-related cancers. They found that the number of copies of lncRNA genes on a chromosome consistently changes in 12 different cancer types and lncRNA genes are widely expressed in cancer cells. What these non-protein-coding RNAs do is still relatively unknown. However, given their vast numbers in the human genome, researchers believe that they likely play important roles in normal human development and response to disease. Working with a team of scientists from the Technical University of Munich (TU Munich), Brandeis University, and Leiden University in the Netherlands, Dr. M. Cristina Marchetti and Dr. Mark Bowick, professors in the Soft Matter Program in the College of Arts and Sciences at Syracuse University, have engineered and studied “active vesicles." These purely synthetic, molecularly thin sacs are capable of transforming energy, injected at the microscopic level, into organized, self-sustained motion. The team’s findings are the subject of a cover story in the September 5, 2014 issue of Science. The ability to generate spontaneous motion and stable oscillations is a hallmark of living systems. Cells crawl to heal wounds and the heart contracts periodically to pump blood through the entire body. Reproducing and understanding this behavior, both theoretically and experimentally, remains one of the great challenges of 21st-century science. By confining cell extracts of important biological ingredients (i.e., bundles of long filamentary proteins known as microtubules and kinesin motor proteins) to the surface of a lipid vesicle, the TU Munich and Brandeis experimental part of the team has created "active vesicles" that undergo spontaneous oscillations and striking changes in shape. These biomimetic sacs are fueled by energy-consuming kinesins–i.e., nanomachines capable of transforming chemical energy into mechanical work–and may be thought of as the first step toward fabricating artificial cells. Fueled by kinesins, these defects form spatial patterns that oscillate between distinct configurations, turning the active vesicle into a robust miniature clock with tunable frequency. When confined, the long microtubule bundles coat the surface of the vesicle, forming a liquid crystal, where the filaments are, on average, aligned in a common direction.